Stroll across the street to the white sugar-sand beach and kick off your flip-flops and bury your toes in the cool sand, while being mesmerized by the emerald waters of the Gulf of Mexico. Let the salt air be your salve for the soul as you enjoy your 2 bedroom, 2 bath, fully furnished FIRST floor unit with parking at the front door at Chateau La Mer II. Free Wi-FI, Pool, Tennis and Picnic Area. It's a great place for family or friends. With outdoor BBQ grills, Chateau is conveniently located to restaurants (Captain Dave's On the Gulf is right across the street), golf, water sports and fishing. Silver Sands Premium Outlets has over 100 designer & name brand outlet stores and is located about four (4) miles to the east and Destin Commons with over 90 stores is located about four (4) miles to the west. Convenient and close shopping to meet any of your shopping needs! 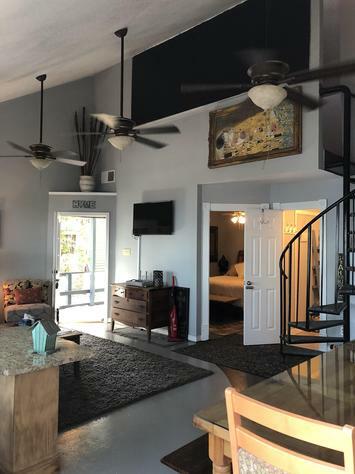 Funky designed 2 bedroom 2.5 bath condo with a balcony that overlooks the pool and tropical gardens with several BBQ areas. Walk to the public beach or Pompano Joe's. TV's, Wifi and XBox with games for the kids! One master has a king bed and second master has full-over-full bunk beds with memory foam mattresses. Need to check emails or work while you are on vacation? We have a desk in each bedroom for you to set-up your work area! Downstairs there are two (2) futons which turn into full beds! Linens in ottomans. We also have a high-chair and ice-chest. Plenty of room for your family! Entrance is on the 2nd level with a view of the pool from the balcony! Sandprints Condo is a quiet small five building - 60 unit community, very family friendly and close to everything you need whether you want to hit the beach, go shopping or enjoy dinner and we have some of the most fabulous seafood restaurants! Three (3) flat screen TV's, Cable, Wifi, Fully-equipped kitchen with dishwasher, microwave, refrigerator w/ice maker, toaster oven, toaster, blender, coffee pot, crock-pot, panini sandwich press, large pot for seafood, grilling utensils provided to use any of the six (6) grills on the property by the pool. A washer/dryer, iron/ironing board, linens/towels, hair dryers in both bathrooms, ceiling fans, beach chairs, beach towels, umbrella, boogie boards and beach toys for the kids! Everything you need is in this condo - all that's missing is YOU! Silver Sands outlets and Destin Commons are less than three (3) miles away! Call me with any questions! 850-585-8983. Let the fun begin at Flip Flop Inn across the street from the beach in Destin! New to the short term rental market! 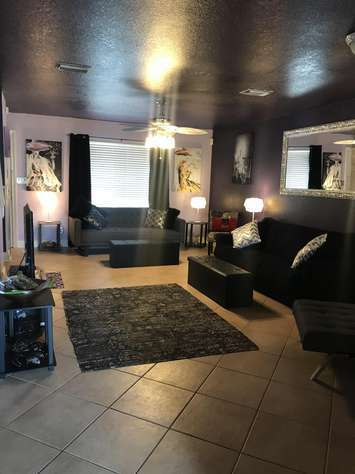 Cozy 1BR, 1BA sleeps 6! Queen size bed, 2 bunk beds and Queen sleeper sofa. 2 Flat screen tvs, washer & dryer and keyless entry! The pool, hot tub and BBQ grills are just steps from the patio. Located on the first floor, so no stairs to climb after a long day at the beach! Located in the heart of Destin /Crystal Beach area you are close to everything! 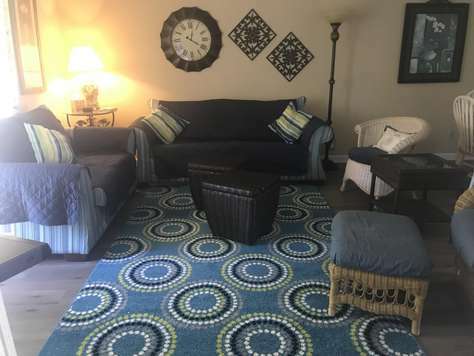 This relaxing townhome is located on the bay! 2BR, 1BA sleeps 6. One King bedroom, one green bedroom and a fold out queen bed. Large outdoor deck with a gas and charcoal grill to cook the fish you catch just steps out the back door.